Valentine’s Day is around the corner. Contrary to popular belief, this day is not only for lovers, but for all those whom we love. Of course, Valentine’s Day is not the only day to share our love. Rather, it is yet another opportunity to let those whom we love know how much we love and appreciate them. Our aging loved ones have so much love to give. But how good is having that love within their hearts without that love being given away and communicated? Love, not given away, is like a beautiful flower that is kept away from the eyes of a granddaughter. Love, in order to blossom, must be communicated. When communicated, expressions of love are pleasing not only to the recipient, but also to the giver. Let us help our aging loved ones communicate their love. Who, if not the grandchildren, are more beloved by their grandparents? Encouraging and assisting Mom and Dad in designing custom-made Valentine’s Day cards for their grandchildren will be a thrill for Mom and Dad. Grandchildren will be overjoyed and may even reciprocate their love and make a card for their grandparents. When we give, we often receive so much more in return. Let Mom, Dad and the grandchildren enjoy that loving exchange. Visit your local arts and crafts store. 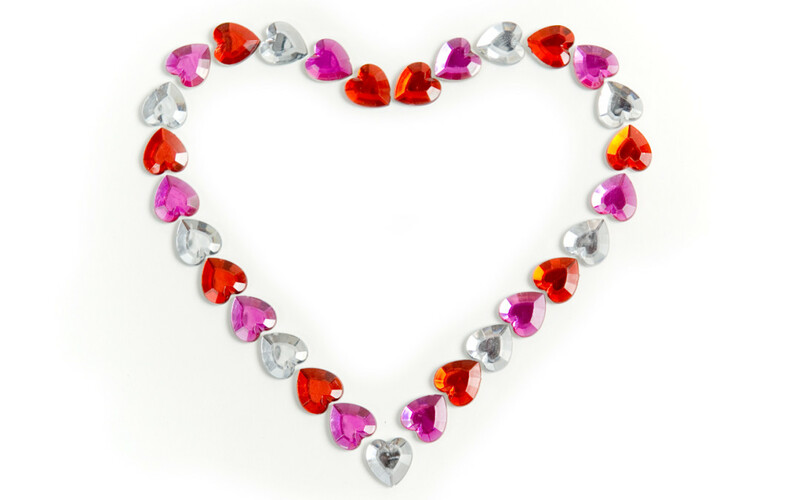 If Mom and Dad are unable to join you on the short trip to the store, pick up several Valentine-related self-adhesive stickers like red, purple and pink hearts, ribbons, rhinestones, glue stick, etc. Don’t forget to pick up a box of blank greeting cards. Bring it all Home and let the creative fun begin. As Mom and you play around with the initial design of the Valentine card, Dad can think of a heartfelt message he would like to include for each grandchild. Grandparents are role models — deeply needed role models. What grandparents and parents do is often keenly observed and duplicated by the little ones. When Mom and Dad are done with designing cards for their grandchildren, take all the leftover materials and bring them to the little ones. Grandchildren will enjoy the creative process of making special Valentine Day cards for their grandparents. They will also learn that life is about giving (not just receiving) and that communication is the key to relationships. As you know, when feelings of love are communicated in such small, yet meaningful ways, everybody wins! Everyone feels loved and appreciated.